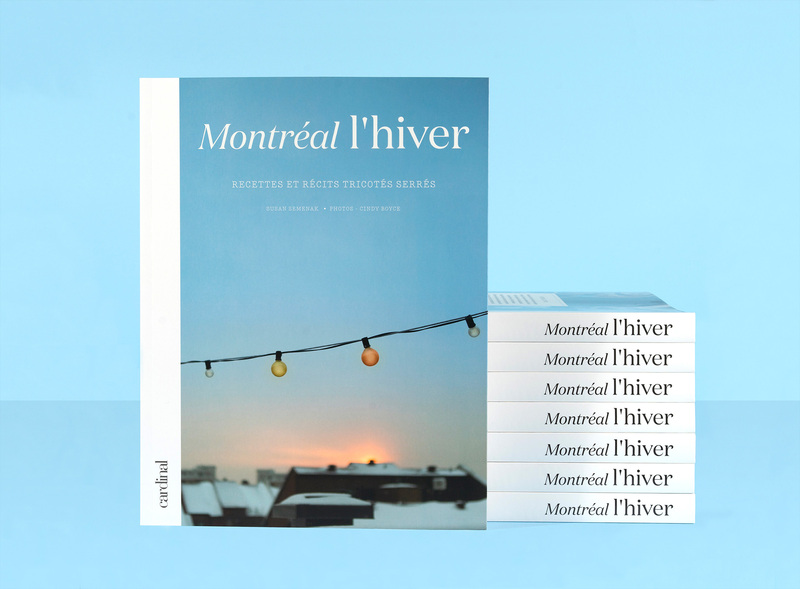 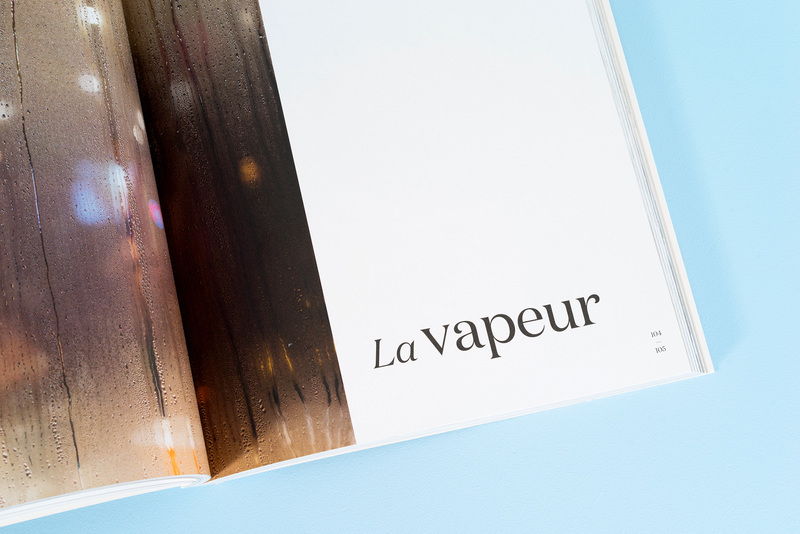 Montreal l’hiver is a 272-pages recipe book and a poetic journey to the heart of Montreal's winter flavors, smells and moods. 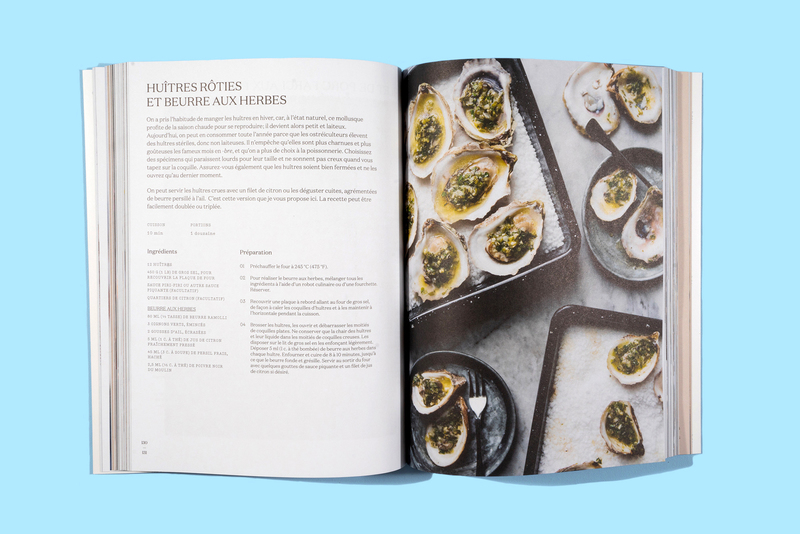 One of the main challenges has been to design a visual language that is cold like winter, but also warm and comforting as the recipes proposed in this book. 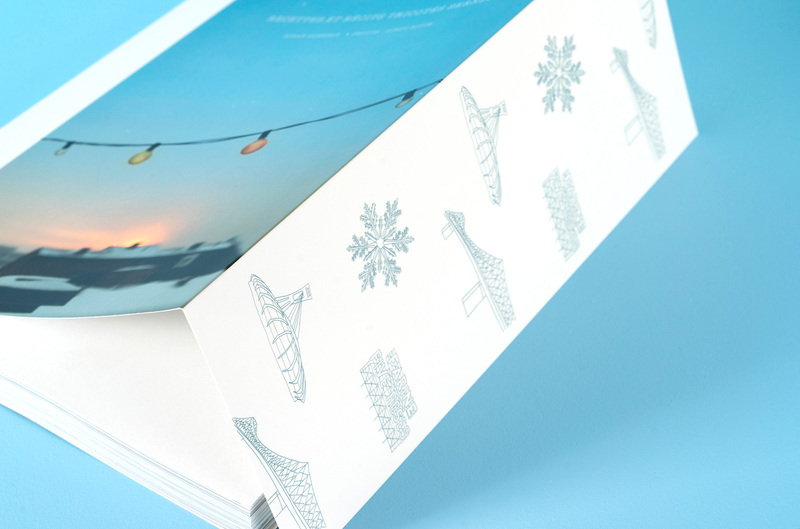 The guideline of this project was to create a graphic atmosphere that puts forward the majestic and magical side of Montreal's winter. 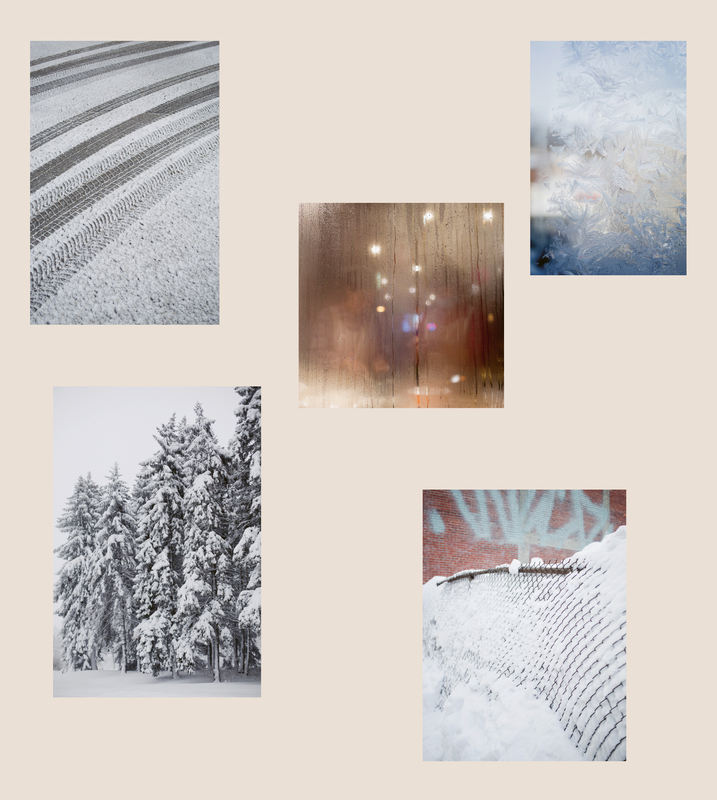 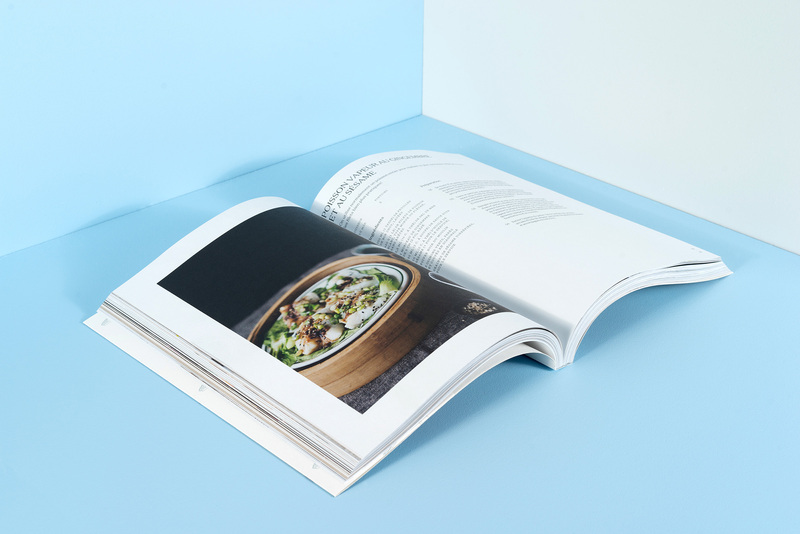 Considering that this large-scale project has more than 80 recipes of various inspiration and several winter stories, we had to put in place a flexible, clear and coherent graphic grid. 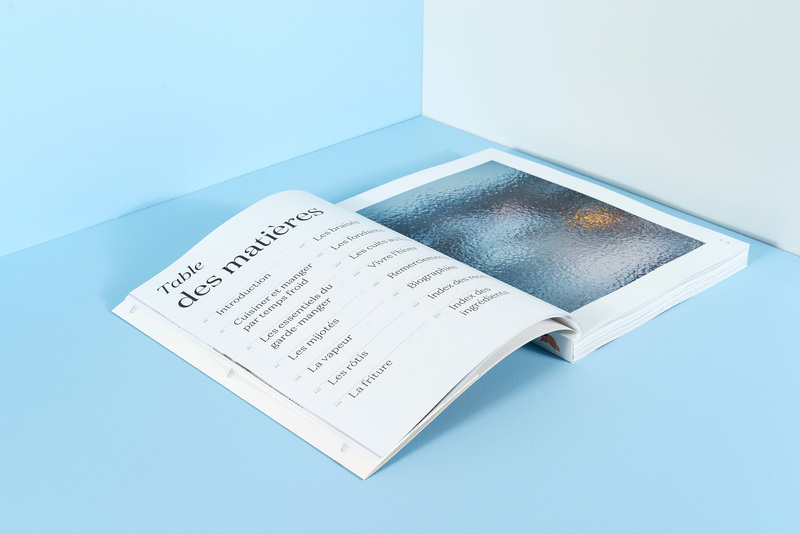 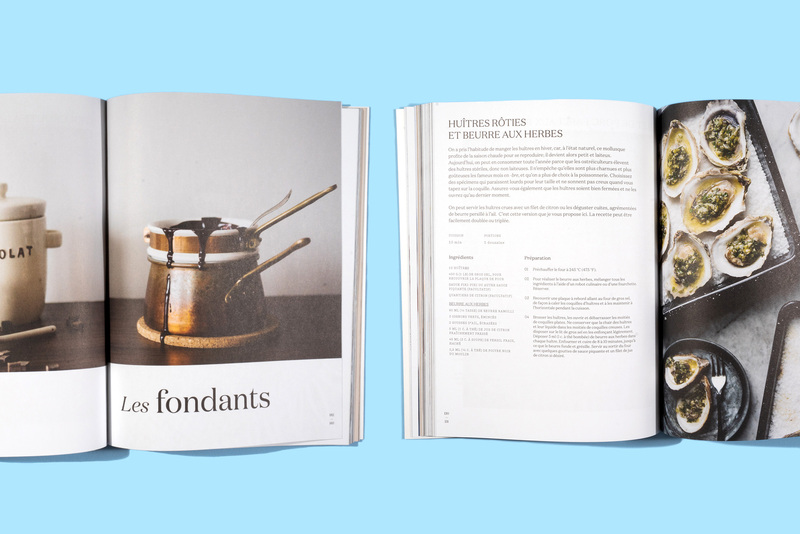 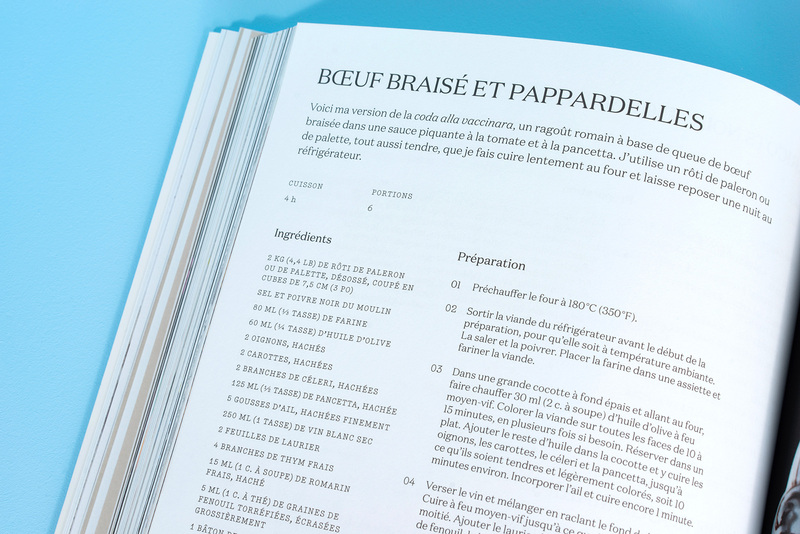 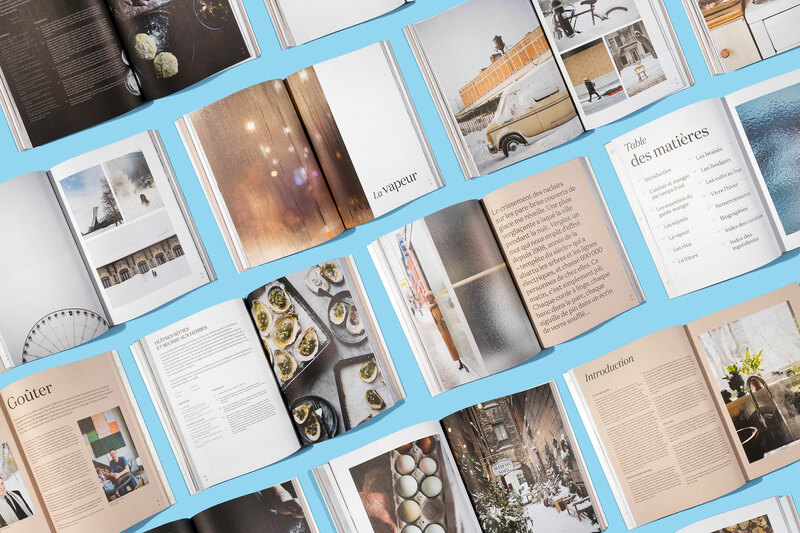 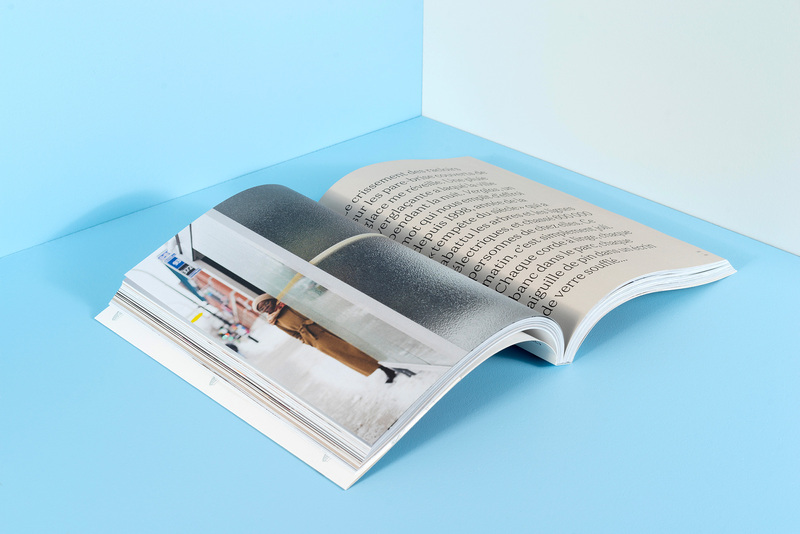 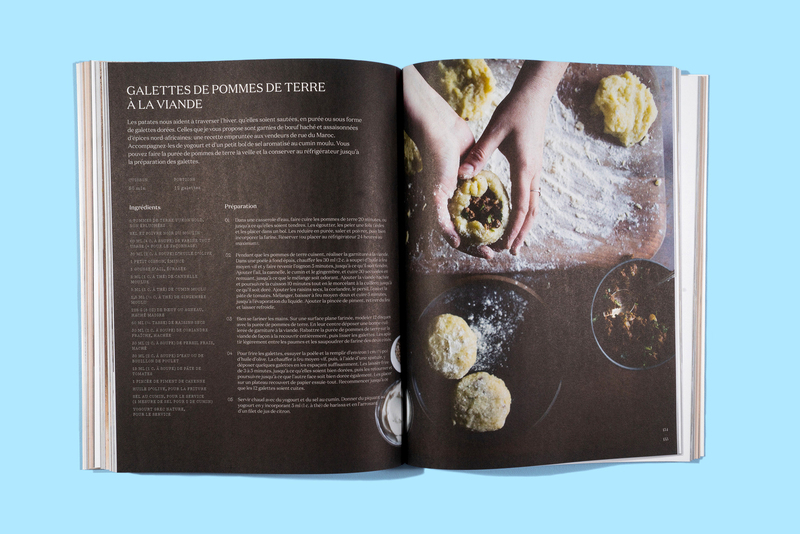 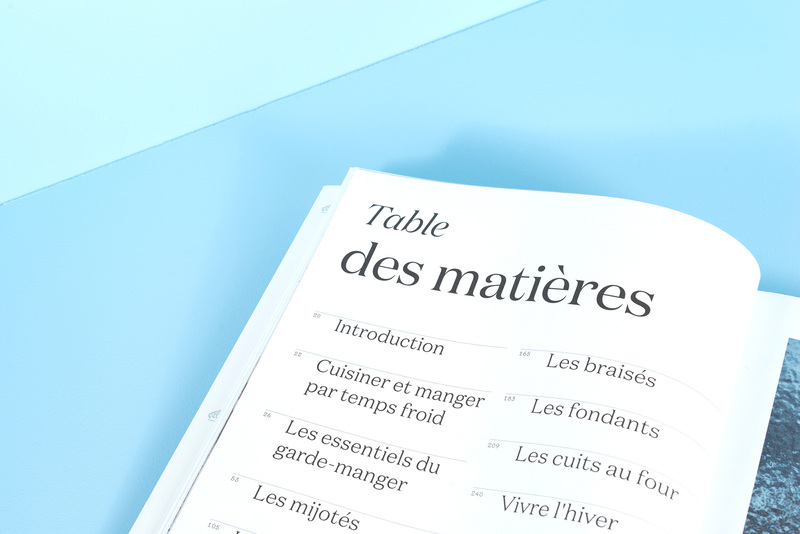 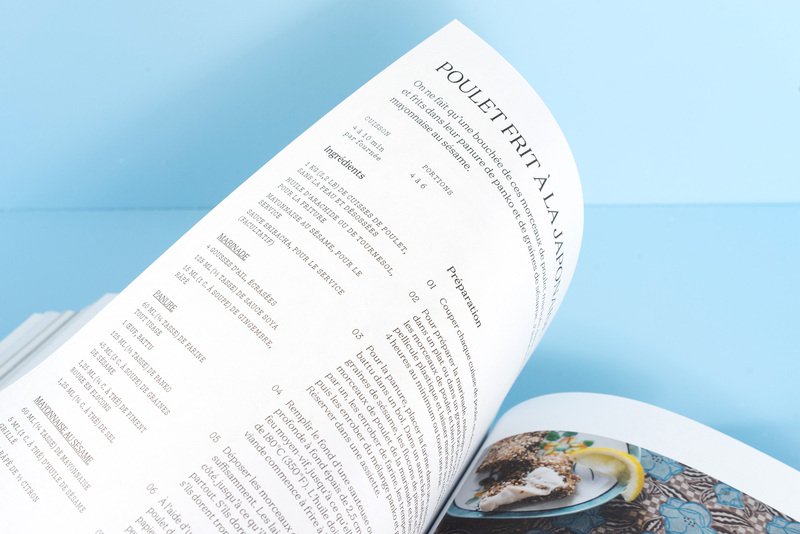 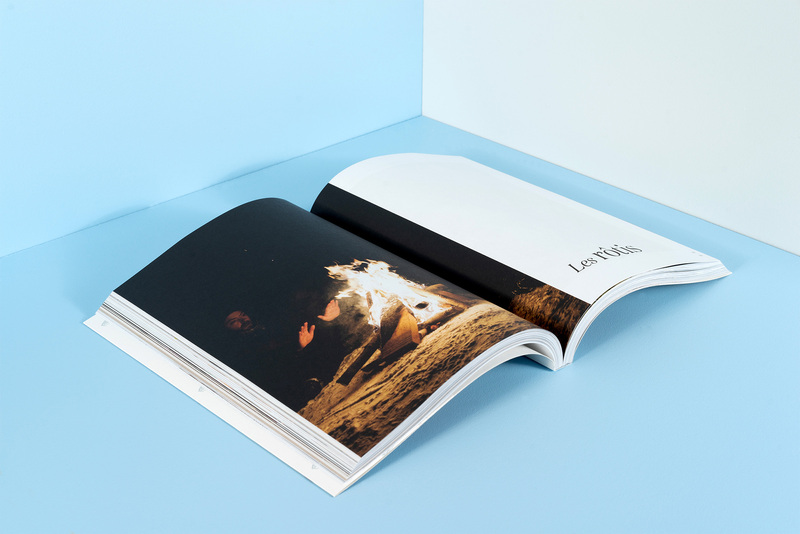 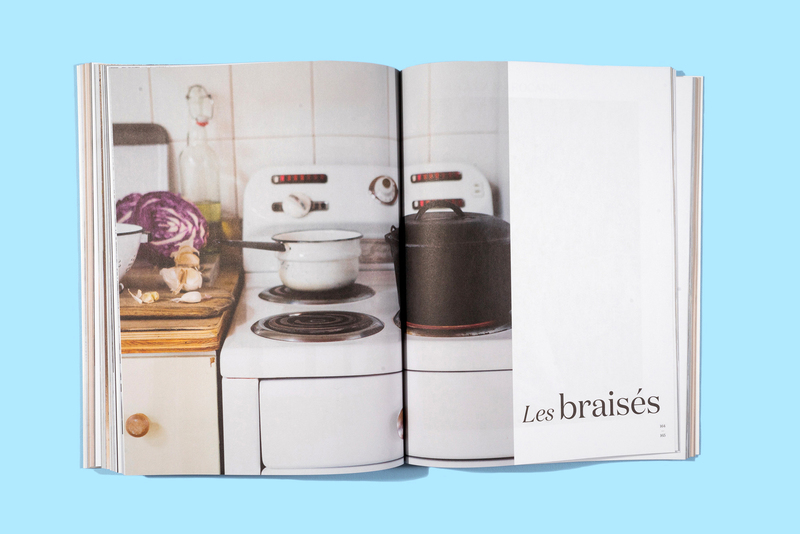 We have developed a nuanced and controlled aestheticism with a strong typographic hierarchy that aims to help the reader to navigate when he cooks the recipes of the book.